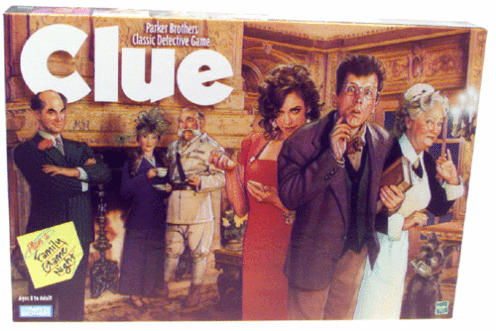 to Murder, Mystery, Accusation, the Fanlisting for the famous and beloved whodunit board game, Clue. This is my all-time favorite board game, and I still have my original board, which started to fall apart years ago, after being played to death. [no pun intended ;)] If you are a fan of Clue, add your name by joining the Fanlisting! That is what a Fanlisting is all about, bringing together the people who share a common interest, and letting the world know what you love. So grab a button if you have a site, and fill out the join form to add your name to the list of fans!